On Friday, January 12, 2018, the Defense Ministry of Romania has officially signed the contract of 227 Piranha 5 8x8 wheeled armored vehicles. 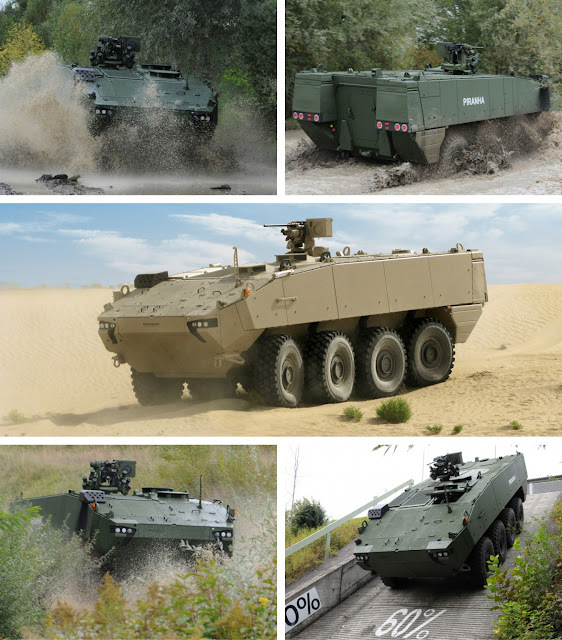 According a statement published on January by GDELS (General Dynamics European Land Systems), the Company will deliver up to 227 PIRANHA 5 wheeled armored vehicles in six different configurations to the Romanian Armed Forces. The contract has a total value exceeding $1 billion. It is part of the Romanian Army’s plan to modernize its legacy wheeled armored vehicle fleet. The modern PIRANHA 5 vehicles will be produced in Romania under strategic cooperation and transfer of technology project between General Dynamics European Land Systems - Mowag and the Romanian company Uzina Mecanică București (UMB). In December 2006, Romania selected the PIRANHA IIIC. A total of 31 vehicles were purchased for deployment in Afghanistan and Iraq. The Piranha V is developed by the Swiss Company Mowag, which is now a subsidiary company of General Dynamics European Land Systems. The Piranha V was unveiled during Eurosatory, the International Defense Exhibition in Paris, in June 2010. 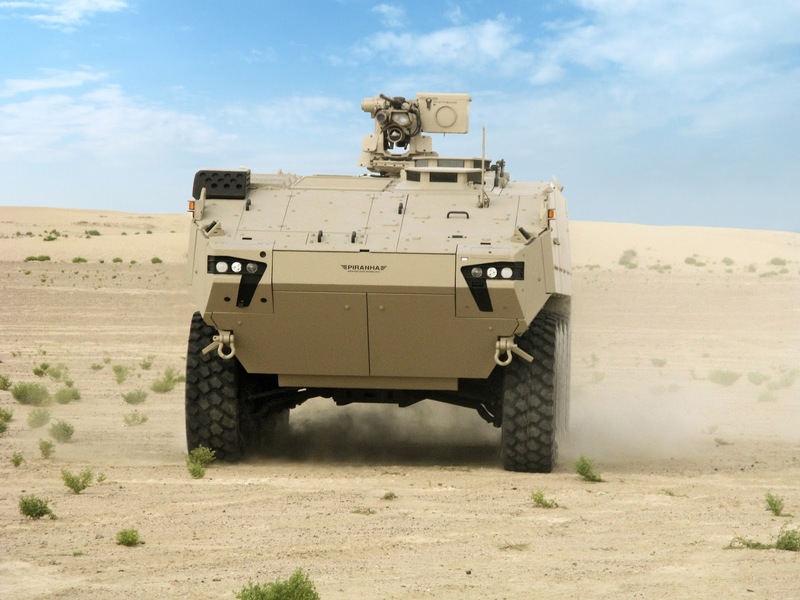 The PIRANHA V 8×8 is the fifth-generation in the family of Piranha wheeled armored vehicles. In April 2017, Spain has announced a plan to acquire 348 "Piranha V" 8x8 wheeled armored fighting vehicles from General Dynamics European Land Systems (GDELS) in the first phase of purchase. In the second phase, Spain could acquire around 1,000 vehicles for the Spanish army. 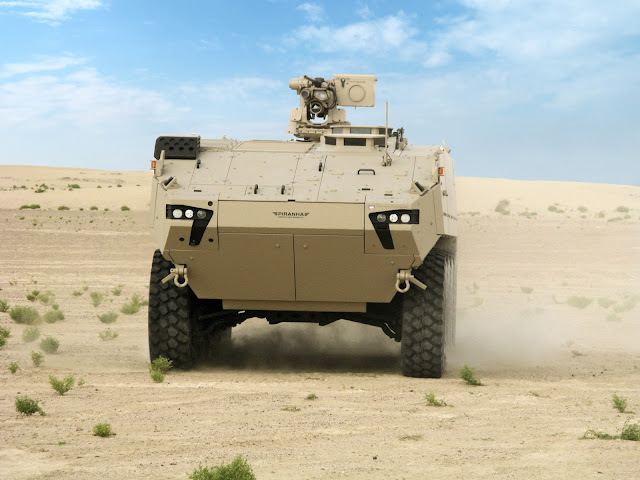 The PIRANHA V sets a new survivability benchmark for the wheeled armored combat vehicle class and provides the highest levels of mine, improvised explosive device (IED) and ballistic protection. PIRANHA 5 has a next generation, full coverage, modular survivability system that has been integrated into the vehicle design from the concept stage. The Piranha V can be armed with a wide range of weapon stations including 12.7 mm machine gun, 25 mm or 30 mm automatic cannon or low-recoil 105 mm guns.